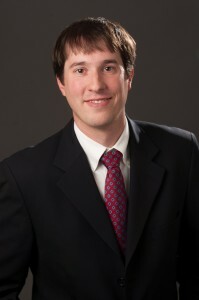 Daniel F. Barber, CPA – is responsible for all fund financial operations, reporting for the firm and is Chief Compliance Officer. In this role, he leads all finance, accounting, investor reporting, tax, treasury and compliance activities of the firm’s funds. Since joining Covenant, Dan has played a key role in the asset management of a diverse portfolio of real estate investments. Dan joined Covenant in 2012 as Controller. From 2010 to 2012, Dan was the Accounting and Reporting Manager with Mars, Incorporated, a global manufacturer of confectionary, pet food, and food products with $33 billion in annual sales. At Mars, Dan managed the general accounting and monthly reporting process for a $700+ million division. From 2007 to 2010, Dan served as Assistant Controller for Aldus Capital in Dallas, Texas where he managed the accounting and financial reporting process for the private equity firm with approximately $6 billion under management. From 2005 to 2007, he was a Senior Auditor for Ernst & Young, LLP in Dallas focusing on healthcare and financial services clients. Dan holds a Masters of Accountancy from the University of Mississippi (2005) and a Bachelor of Business Administration in Accounting from Southern Methodist University (2004). He is a licensed Certified Public Accountant and a member of the American Institute of Certified Public Accountants as well as the Tennessee Society of Certified Public Accountants.